At Empreus IT, we want to help you keep your business and its critical data secure. That’s why we’ve been running a series of articles called IT security 101. So far in the series, we’ve covered the importance of firewalls and anti-virus, and their roles in defending your business data from inevitable threats. In this third article, we want to explain why it’s essential to have good physical security to protect your IT hardware. 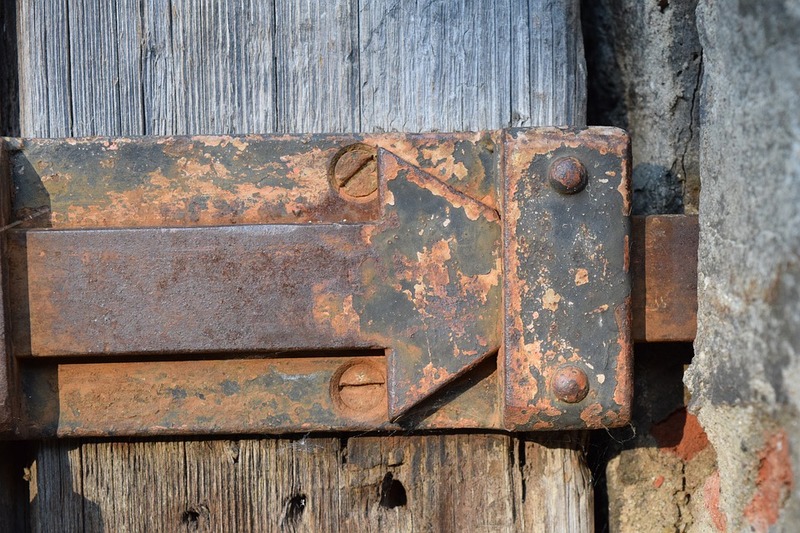 In keeping with our castle theme, think of physical security as the heavy duty locks and latches on your castle door. Physical security is the tangible barrier you place between people and IT systems. It makes it physically difficult to get to your IT systems and damage, steal or break them. There are many options to choose from, including revolutionary new Cloud technology systems that monitor and store security data and camera feeds in the Cloud (so they cannot be edited or deleted easily). Critical IT hardware (such as your server) houses your business’s confidential and critical data. Whether or not it’s intentional or accidental, if people can touch your IT hardware, they can break it. For example, if your server sits in the same area as your staff and someone accidentally spills coffee on it, it could be destroyed….along with all of your data. Imagine that – all the documents you have worked countless hours to create, gone in an instant! Keeping expensive and critical hardware in a separate room and ensuring that room has security is the best way to avoid accidents, protect your proprietary information, and reduce the risk to your business. How can Empreus IT help with physical security? We are experienced in mapping camera networks and ensuring full functionality, as well as setting up access rules and monitoring IT systems for integrity and longevity. For a confidential consultation on adding physical security to your business castle, call Empreus IT on (02) 6189 1322 or contact us now. Last month, we talked about the importance of firewalls and how they add valuable security to your IT network. 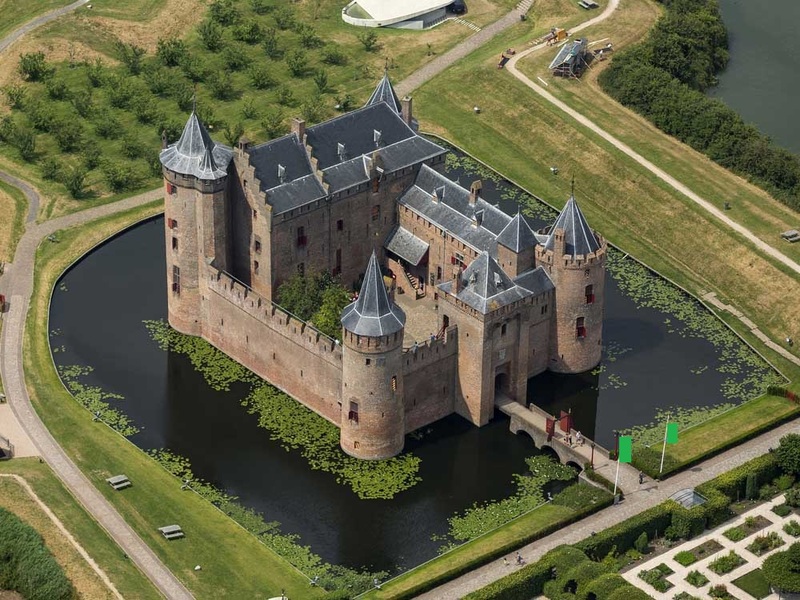 Comparing your business to a castle, we explored the idea of a firewall as a moat – reducing the number of attackers that make it onto your castle grounds. In keeping with this metaphor, this month we want to explore additional layers of security that help keep your greatest asset (your data) safe. But how does anti-virus software really work? And how do you know which anti-virus software to choose? What is anti-virus and web protection? 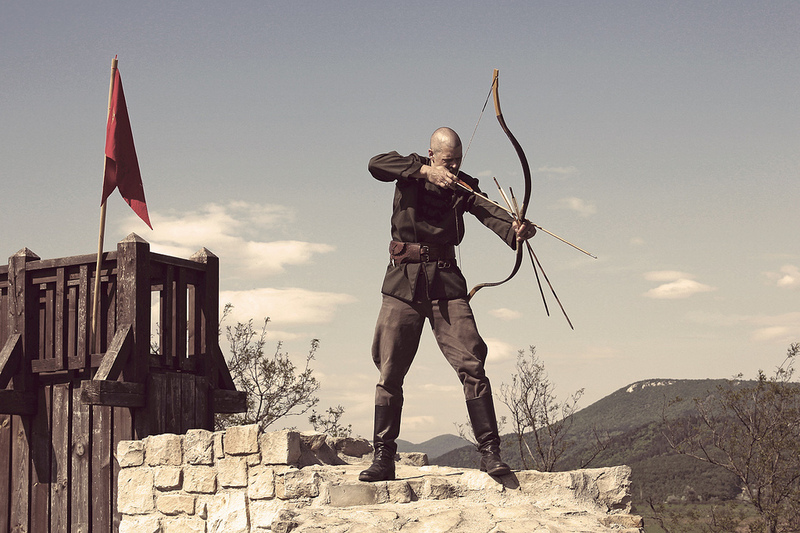 If you imagine your business castle, anti-virus and web protection are the soldiers that stand on the castle walls ready and waiting with their arrows pointed. They aim to take out any offender identified as foreign and threatening to the ecosystem, protecting everyone in the castle (your data) from danger. How does anti-virus and web protection work? If a literal virus were to plague humanity tomorrow, scientists would work round the clock to understand how the virus works so they can develop a vaccine. Technology viruses are essentially no different. When hackers create a new virus, security software companies such as Norton, McAfee, Symantec, and so on work tirelessly to understand how these viruses operate. Once they understand them, they can define the parameters needed to identify and block them. For example, if a virus does X then Y then Z, it is a Trojan. With these parameters defined, your computer will quickly pick up on a Trojan’s attempt to get into the system and quarantine it. Web protection works in a similar way. If a website attempts to run a command or execution that has been identified as risky, the web protection software jumps in and marks it as malware. This stops you from clicking through to the website and unknowingly downloading a virus. Viruses on websites can happen if the website has been compromised by hackers (unknown to the company that owns it), or if the hackers have intentionally created a fake domain for when people accidentally type in the wrong URL. How do I choose the best anti-virus? At Empreus IT, we recommend Bitdefendor as we have found them to be good value for money and superior to other anti-virus products. If you run a company, enterprise anti-virus software will give you faster updates and more support, and occasionally offer cyber security insurance with your subscription. The reason we do not advise our clients to use free anti-virus software is because they often do not update as regularly as paid software. This means you may be protected from viruses that were current 2 years ago – not viruses that are a risk to you today. When you do pay for an anti-virus subscription and install it, you need to ensure “automatic updates” are turned on so that it constantly updates with the latest measures to combat the latest threats. That being said however, new viruses come out every single day. So you should always exercise a high level of caution when clicking links in emails, visiting unknown websites, or downloading files. As your outsourced IT department, Empreus IT offers a valuable Managed IT Service to keep your company and its data better protected. We consult to help you choose the right level of anti-virus software, install it onto every device (and server if applicable), and then monitor it 24/7 to ensure it is up to date and working efficiently. If the system flags a virus, we are straight onto it – finding out what has happened, making sure it is quarantined, and helping you implement measures so that it doesn’t happen again (such as better staff training on the dangers of unsolicited emails). To order your own private security advisor who will walk the grounds of your castle 24/7, call Empreus IT on (02) 6189 1322 or contact us now. Knowing the possible devastation that results from malicious hackers penetrating your private computer systems, wouldn’t you be willing to do just about anything to prevent it? 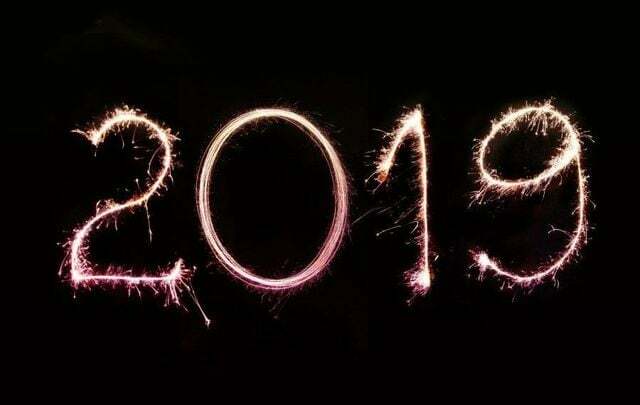 In our last post, 2019 tech predictions you don’t want to ignore, we talked about the increasing threat of malware due to advancements in tech, and the effect this can (and does) have on businesses large and small. With this in mind, we’re embarking on a series of blog posts to help you understand the main elements that combine to create effective IT security. Implementing each of these elements (properly) will improve your chances of avoiding these hacks. So without further ado, let’s start with the first port of protection every business needs: a good firewall. A firewall is a little black box that connects directly to the device that connects to the internet. Its job is to filter incoming traffic and prevent unauthorised users from accessing your network. If you imagine your business as a castle, a Firewall is the moat that surrounds it and provides a first line of defence. It eases the burden on the second and third lines of defence (archers who stand on the castle wall, and then soldiers inside the castle) by reducing the number of attackers who make it onto the castle grounds. When you send out a request for information via the internet (i.e. : you “Google” something), the internet sends the information back to your computer via your network port. Think of your network port like a road that leads to your castle. There may only be one real road in, but there are thousands of other roads (ports) that attackers will try to take to get to your castle. This is why you need a good firewall, or moat, to stop them in their tracks. The firewall basically rejects any user who is trying to come through via the wrong port. There will be a lucky few who do come down the right road and find a bridge over the moat, but this is where your other defences need to kick in and do their job. Which firewall do I choose? This depends on how deep you want your moat to be! For basic home users, the firewall inclusion in a standard router is usually sufficient. This works in tandem with firewall software included in most anti-virus applications installed on the computer, and will do a reasonable job of preventing attacks. For a business however, more users spending more time on the network increases the risk. The consequences of failing to protect data can also be more severe from a financial and reputational perspective. Business users need a strong and intelligent firewall that can adapt to our ever-changing tech environment and pick up on sneaky attackers who are using unique ways to try and get through (such as parachuting over the moat!). At Empreus IT, we recommend Juniper, Cisco and Watchguard firewalls. Each have their own advantages and disadvantages, depending on the size and nature of your business. To find out which one is right for you, give us a call for a friendly chat and we can discuss your options. Once your firewall is in place, we can also manage it for you via a Managed IT Services agreement. This is where we take on the role of security advisor for your castle, and walk the grounds 24/7 to make sure all of your defences are working as efficiently and effectively as possible. To chat with us about getting a firewall or Managed Services for your castle, give us a call on (02) 6189 1322 or contact us now. 2018 was a massive year for tech advancement, with new developments making communication, collaboration, and systemisation much faster and simpler than ever before. As we head into a year filled with the promise of even greater technological achievement with AI, blockchain, robotics, Cloud, 5G communications and more, we appear to be edging ever-closer to the futuristic worlds that awed – and sometimes scared – us in movies such as the Fifth Element and Minority Report. With new changes creating new risks, we wanted to shine a light on a few areas we believe will have a direct impact on SMEs this year. Cloud rules…but at what cost? Cloud was on everyone’s lips in 2018, as business owners looked for any and all ways to jump on the bandwagon and incorporate Cloud into their business. And while there are numerous benefits to Cloud technology, some businesses were shocked to find that the cost of moving to Cloud storage far exceeded their expectations (and their budget). The market is dominated by a small number of major players who all offer similar pricing structures, so it can be difficult to find a stand-out deal on Cloud storage. For those businesses that require a lot of storage, the monthly fees can add up to more than the outright cost of a beefy in-house server over just one year. Does this mean you should do away with Cloud altogether? No. It just means that before you take a leap into a new technology – even when everyone is touting it as “the next best thing” – you should understand the costs and make an informed decision that’s right for your business. There are multiple cloud strategies, including staged and hybrid approaches that may be more appropriate for you. If you’re not sure, ask us to do an objective analysis on your business so we can help you make a sound decision. Many people read about the Marriott’s Starwood hotels hack that may have resulted in the private data of as many as 500 million guests across 4 years being compromised. Essentially, the hackers could have obtained enough information about a single person to be able to verify 100 points of ID (allowing them to assume your identity and run up horrendous bills). Most recently, it was also reported that an incredible 773 million email addresses and passwords were hacked and released to a hacking forum. With increasingly clever tech at their disposal, hackers are only getting better at finding ways to penetrate systems and steal company data. If you don’t invest in proper security, you are at risk. If you don’t train your staff on how to be security-conscious when opening emails, visiting websites, or downloading files, you are at risk. Security management of IT requires diligent monitoring and a dedication to keeping commercial-grade antivirus software up-to-date and working effectively. Before upgrading any devices (phone, tablet, laptop, etc.) this year, first check to see what new technology may be just around the corner. For example, if you plan to upgrade your phone you may want to hold off until your favourite manufacturer incorporates 5G-compatible hardware. 5G communications will be turned on around the country from as early as 2019, and will allow you to send and receive data faster than ever before. New phones will likely be 4G and 5G compatible, whereas older phones are 3G and 4G compatible. If you can wait until the former becomes available, you should get a much better return on your investment. Australia’s new anti-encryption laws require tech companies to give “backdoor access” to government security agencies so they can essentially read any text message or instant message you send over private networks such as WhatsApp, Slack and Facebook. According to the Bill, companies should only create the backdoor if it doesn’t compromise security – however we know that any backdoor to software is a security risk. Hackers purposefully seek out backdoors to steal private information. So it’s going to be very difficult for these companies to comply with the laws and ensure 100% confidentiality for the messages you send. If you are a tech company affected by this law, you may want to discuss it in depth with your lawyer or advisor so they can help you be compliant, but also go as far as possible in protecting users’ security. If you want a more proactive approach to IT management and security this year, ask us about Managed IT Services. Managed IT Services means you’ll always have IT knowledge at your fingertips, plus 24/7 security monitoring, assurance on software updates, and much more. And if you sign up for a Managed Services agreement before February 15, 2019 we’ll give you the 12th month FREE. To learn more or to get Managed Services for your business, please call Empreus IT Support on (02) 6189 1322 or contact us now. One of the most essential elements of any business are the lines of communication with customers. For someone to buy from you, they need to be able to reach you, ask you questions, and place an order with you. If they can’t do that, they will surely find a competing business to buy from instead. If you’re a micro business owner, you probably list your mobile as the main contact number. However as you grow, the need for a landline grows too. It allows you to keep your mobile number more private, and gives your business credibility while helping you appear more established. Option three is the latest addition to the telecoms industry, but is already receiving rave reviews from business owners keen to implement a reliable solution at a low cost. VoIP stands for Voice over Internet Protocol. This means that rather than making a phone call though a standard phone line, you are making it over the internet. VoIP systems are usually managed via a small box that sits in your office and is connected to your internet line. The box allows you to configure your settings, and manage incoming and outgoing calls. Cloud VoIP, however, allows you to configure and manage your VoIP remotely, so you can access it anytime, anywhere. It’s cheaper. When you’re building a business from the ground up, you know how important it is to offer a great service while keeping overheads low. The biggest benefit of Cloud VoIP is that it is a lot cheaper than most other landline options. Cloud VoIP can cost as little as $25 per month, compared to the standard public telephone network (PSTN) which is usually more than $50 per month. PSTN plans also cost you line rental plus the cost of each telephone call you make in the month. With Cloud VoIP, most plans offer all calls for free – so you only ever pay for the cost of the number and no more. You can access it remotely. The benefits of Cloud VoIP are the same as the benefits of Cloud technology in general – it doesn’t require onsite hardware, costs less to get started, and allows you to make changes (such as add new numbers, set up a diversion, check incoming and outgoing calls, and so on) from wherever you are. If you use an IT Support company to manage this for you, the absence of an onsite visit usually means this can get sorted faster and cheaper. It scales and moves easily. In the case of a standard landline, you pay to rent the line. In the case of Cloud VoIP, you are paying to rent the number. So adding new numbers as you grow (or removing them if you downsize) is simple and painless. It’s also very easy to scale geographically. I.e. : you don’t need to get a new landline installed if you open a new or second office – you simply setup your phones and can add new numbers whenever you need them. You can also choose any area code you want – without having to be in that area. Call centre additions. Some Cloud VoIP providers offer real-person call taking services. Better monitoring. You can quickly and easily view call logs, times, phone numbers, etc. You may even be able to request call to email transcription. 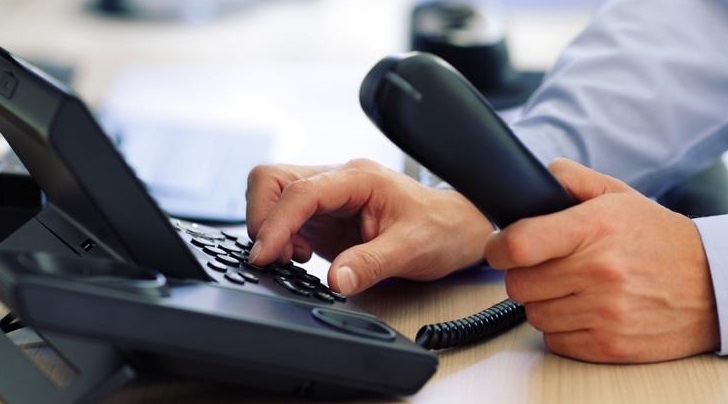 Many VoIP services allow users to answer calls directly from their computer, or have them quickly and cost-effectively routed to a mobile. Voicemails can be sent by email, or transcribed to text messages. Some Cloud VoIP systems integrate easily with other software, so you can integrate with other communications platforms, such as video conferencing. To get Cloud VoIP for your business, or to find out more, give Empreus IT a call on (02) 6189 1322. A router is a foundational piece of equipment in any IT environment. However, it rarely receives the respect it deserves when it comes to choosing the right one. While home users and micro businesses might be able to get away with standard routers, anything larger than a small business with three employees needs to invest in a router that provides much greater security and can handle larger volumes of traffic. A bad or insufficient router leaves users with an unstable internet connection, which is often a frequent cause of workplace meltdowns. This is particularly annoying if your users are working in the Cloud or use an intranet. Worse than this, an insufficient router is also a security risk, because it does not contain the necessary features to block potential attacks. Router specs are hard for non-technical people to understand. If this is you, you can either spend countless hours googling it, or you can hire an IT expert to evaluate your business and suggest a router that will meet your needs. Then we compare it with the different capabilities of the routers we believe offer the best value for money. This includes the speed, range, bandwidth, security, and ability to customise certain features. Some of the latest routers available through Juniper and Cisco offer benefits such as next generation connectivity, scalability, automation (through the incorporation of AI), and cloud-based monitoring and management. You may not need all of the latest whizz-bang features. However, you do need features that are going to offer you the right level of connectivity and security to ensure a seamless connection and the safety of your IT environment. For help choosing the right router for your business, please give us a call on (02) 6189 1322 or contact us. That is a question you’d rather not leave in the hands of human error when it comes to responding to an unknown email. Email is one of the world’s most used communication and marketing channels in business, so it’s no surprise that it’s also quite susceptible to the likes of spam and malicious hackers. According to a US research firm, the number of email users worldwide will top 3.0 billion by 2020. This equates to almost half the global population – which is why it’s such an enticing avenue for criminals! Taking a proactive approach to preventing an attack on your business is essential. You could invest time and money training your employees on email security. However, keep in mind that some phishing emails are so cleverly crafted it’s almost impossible to tell that they’re fake. They even include branding and official letterheads for authenticity. Some email hacking techniques see multiple emails sent that are designed to build a relationship with the user over time before requesting and stealing data. 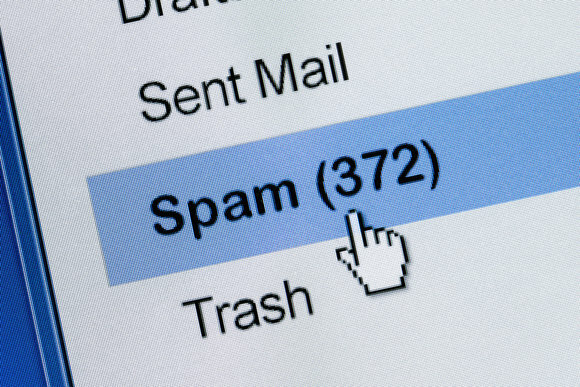 Clicking on a link in an email can release malicious software onto your entire IT network. It may sit quietly in the background, tracking everything you do. Or, it may make your computers slow and unresponsive. Or, it may lock down all of your files and require you to pay a ransom before they are released back to you. With almost all staff using email, human error is inevitable. Your data needs more than passwords, training, and hoping staff will be diligent enough to analyse every email that arrives in their inbox. When you want to protect the integrity of your data, it’s important to take a digital strategy. In the case of emails, this means email protection software. Email protection software works to identify theft and cybercrime opportunities from the onset to provide 24/7 security support. It also protects your customers’ systems when communicating with them with via email, since most threats are found in unauthorised links and false attachments. Installed and managed correctly, email protection software filters all of your company’s emails before allowing them to reach their designated inbox. If the email is likely to present a threat, it will be held. To ensure you get the emails you want, we can help you set up allowances for emails you trust so they always make it through. We will also show you how to login and view held emails, so that you can clear them if they are legitimate. Importantly, the best email protection software updates regularly so that it’s always protecting against the latest spam or malware outbreaks. At Empreus IT, we understand the detrimental effects one incorrectly opened email can have on a business, so we’ve teamed up with leading email protection software providers to help protect your business and your clients during every day email transactions. No business is too small to consider email protection. We can install it for you, or add it as part of a Managed Services agreement, so you are assured of constant monitoring, management and security of all your IT systems. For more information on security recommendations for your business, or for an affordable quote, please call our team at Empreus IT on (02) 6189 1322 or contact us here. Despite the fact that it sounds like a new age concept, virtualisation has actually been around since the earlier days of computing in the 1960s. In order to reduce the need to expand the number of physical machines (desktop computers or servers), the idea was to find ways to maximise the capability of a single machine through clever allocation of its resources (storage, memory and processing). This has evolved over the past 50 years to become one of the most exciting and useful developments in computing: virtualisation. 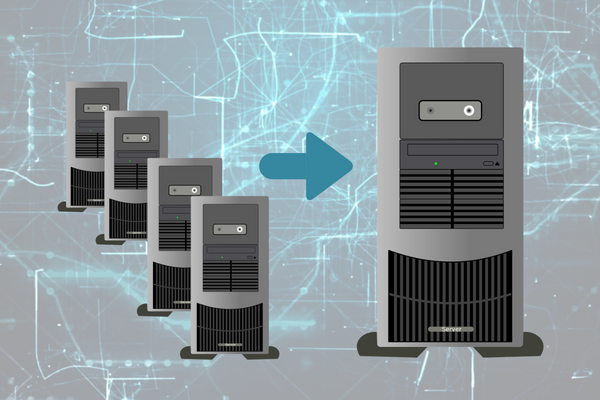 Virtualisation basically allows you to create multiple computers inside one computer, or multiple servers inside one server. The virtualisation software (VMware) allocates hardware resources where they are needed most, thereby maximising the use of a single machine. But virtualisation has many more benefits than just cost and space saving on hardware. Finding, purchasing, installing and maintaining a new server can be a time consuming and relatively costly exercise, and is rarely set up to match your exact business needs. I.e. : if you are managing 50 people in your workplace, your server probably has the capacity to handle 100 – meaning that you’re wasting space and not utilising all of your hardware effectively. Virtualisation, on the other hand, makes it easier to scale by growing the system gradually as you increase resources. If you decrease resources, it will also scale down to match. This elimination of wastage provides a more efficient and affordable way to run your on-premise system. It’s also faster and easier to test new applications, without making a significant investment in a physical test server. Because your software is not managed directly by your machine (it’s managed by the VMware), maintenance or repairs can be done without disruption to your business. This lack of downtime is essential for most businesses that rely on IT. If your server fails, or you are hit with a virus, you should be able to continue working while it is being repaired. If your business data is critical to the success of your business, we would also recommend a DATO backup solution. In conjunction with virtualisation, it ensures that all of your data is being backed up regularly, and can be made available in the cloud so you can continue working if the worst were to happen. Today’s workforce is more mobile than ever, and should be supported by an IT infrastructure that allows for remote working while enhancing collaboration between teams. Virtualisation allows remote logins to virtual desktops, where staff can access all of their files and the software they need to continue working – wherever they are. Used in conjunction with messaging apps and video conferencing, you can easily build a workforce that is empowered to work anytime, anywhere. Most businesses are committed to being more conscious about their energy usage, and virtualisation is a definite step forward in achieving this. By reducing the need for more physical hardware, you are also reducing the amount of heating, cooling and space that is required to run your computer’s IT system. And this can have further-reaching benefits than just the impact on your business bank account and the effectiveness of your IT. Please keep in mind that virtualisation and cloud are not the same thing – even though they do complement each other very well. Having a virtualised server can make it easier to migrate certain IT operations to the cloud, which is something we can walk you through if you decide that a hybrid cloud environment is best suited to your business. To chat with us about virtualising your desktops or servers, and maximising ROI for your IT hardware, give us a call on (02) 6189 1322 or contact us now. EOFY planning: Don’t forget IT! It’s EOFY! And while the rest of the world celebrates January as the “start of a new year”, for business owners, it is July that signals the chance to start anew. It’s a time ripe for planning, strategising, and preparing for growth. Just as you would make personal New Year’s Resolutions on January 1, you should aim to do the same for your business come 1 July each year. Unfortunately, IT planning can fall by the wayside when budget time comes around. Although it may not be as exciting as forecasting for new staff, more customers and increasing turnover, it’s a vital element of your business that should be paid proper attention if you want to avoid costly and haphazard fixes later on. Sometimes, the sheer speed at which technology evolves can cause business owners to “give up” trying to have the latest version of anything. It seems just as you buy version 1.0, version 2.0 is being stocked on the shelves. Fortunately, you don’t have to keep up with every upgrade that comes out. Your iPhone 5 is likely to be just as good at making calls and sending messages as your iPhone 8. However, there is a danger in letting this approach go too far, and it can have serious consequences for your business. For example, let’s say you opened your business 10 years ago and installed a software on your server that staff use to create documents. At the time, this software was considered cutting edge, and did everything you could ever need it to. Having aged considerably, you one day find that your brilliant software has stopped working and you need to replace it. Across the past decade though, the software has evolved several times, and the new version is incompatible with your older one. This means that when you upgrade, every file you have created for the past 10 years is un-accessible, un-openable, and un-usable. There is also a chance that when your old software stops working, a complete change-over can take weeks (or even months) to implement. This reactive approach can cost you severely in money, time and productivity. As a general rule of thumb, you should be aiming to upgrade certain hardware and most software every 3-4 years to be safe. The simple way to avoid reactionary disaster is to incorporate IT planning into your normal EOFY planning. Do you need to upgrade the amount of hardware to accommodate new staff? Do you need to add new software that can help you work smarter, faster and cheaper? How old is the software you rely on now? Can you budget for an upgrade that will keep current and future versions compatible? How old is the hardware that keeps your entire network running? Do any of your cables, or even your server, need to be replaced? If you have a cash surplus in June, IT purchases can be a great way to get an instant asset write off. Otherwise, you may need to create a prioritised list that you can work through over the new financial year. We can help you do an audit of your existing IT infrastructure, and provide honest recommendations on where you need to go from here. For example, we may determine that some of your cabling or network connections are in serious need of an upgrade. This would take priority, and then we can work through other recommendations such as server or software upgrades later on. If you’re expanding the number of users (i.e. : more staff), we can help you make an easy transition, and set them up to ensure ease of access and proper security. Once you have an understanding of where you’re at now, you can also chat with your accountant on how to budget for purchases in the next financial year. Then, you may want to discuss Managed IT Services with us, to ensure your systems keep running smoothly and provide the ROI you deserve. 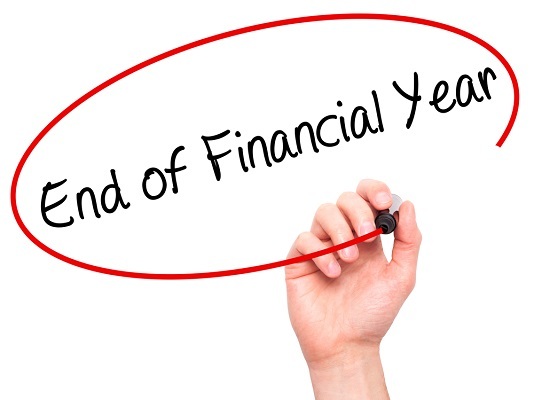 To get an IT site audit to help with your new financial year planning, please call (02) 6189 1322 or contact us now. Cryptoware (aka Ransomware) is one of the most dangerous, annoying and frequently experienced attacks on home and business computers. Whereas once we were afraid of viruses that upset the functionality of our computers, or monitored what we were doing in the background, this new age of sophisticated viruses takes complete hold of our entire system – locking away our files until we agree to pay a “ransom” to unlock them. Do you pay the ransom, or lose all of your files? If you’re attacked by cryptoware, it’s unlikely that you’ll know about it until after you restart your computer. Or while you’re working, your files or documents may start to play up. You won’t be able to access any of your files, or create new files. If you were accessing a shared folder on a network (housed on an external server), it could also be locked. You may find a text document on your desktop with instructions on how to pay the ransom to an anonymous cryptocurrency wallet. 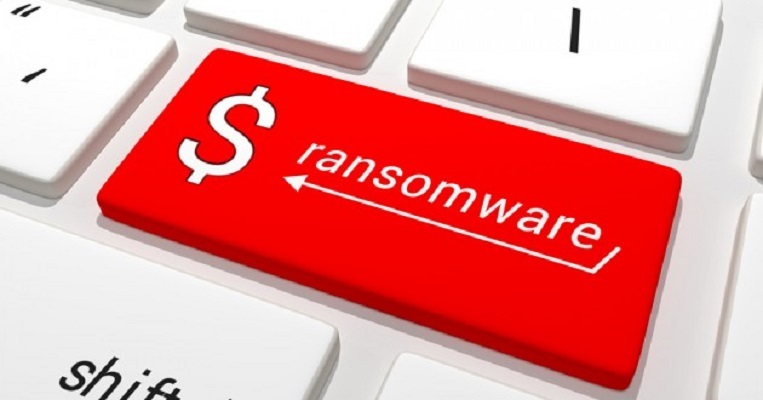 The initial ransom could be around USD$1500. And it can be tempting to pay this and move on. But unfortunately, that’s usually not the case. While you may get your files back in the interim, the virus still sits on your computer, monitoring everything you do. A few weeks, or even a month, may pass before they lock everything down again and ask for more ransom. If you have an effective backup, you can hire an IT company to re-format, reload and restore your computer to its original state. If you don’t have a backup, you can choose to pay the ransomware, or lose all of your files. If you’re happy to pay a highly experienced security specialist, they may be able to decrypt your drive. If you haven’t been impacted by cryptoware yet, you still have an opportunity to protect yourself against the likelihood of a future attack. The best way to prevent against Cryptoware is to do regular, thorough backups and be extremely careful of anything you download online. Perpetrators often use email as a way of sending links that either contain a dangerous download, or a send you to a website that then encourages you to download the virus. These emails may mimic emails from other service providers, or even government departments. The ATO, for example, is notorious for falling prey to copy-cat emails that tell you to view or download a document that relates to your tax. The other way you can fall prey to dangerous downloads is when hackers compromise an otherwise trusted website. For example, you may go to a real estate agent’s website, or a major car company website, and attempt to download a brochure. Unknown to you, the brochure has been compromised and actually contains Cryptoware. Never, ever click a link in an email without thinking. Look at the email address the email has come from, and hover over the link until it shows where the link will take you. If it seems suspect, DON’T click it. Get yourself enterprise-quality anti-virus software. General consumer products can be poor at detecting and preventing illegal downloads. Hire an IT company to actively manage your security. At Empreus IT, we are alerted in real time to any attacks on our clients’ computers, and may be able to prevent them before they cause serious damage. We also perform regular, thorough backups to ensure the integrity of all of your data files. The expense of any of these preventative measures is nothing compared to what you will have to endure if you’re attacked by cryptoware. Our managed antivirus solutions are available from just $50 per computer per month, and will give you peace of mind, and potentially save you thousands on recovering from a cryptoware attack. For more information on how we can help you prevent against cryptoware, or recover from cryptoware, please call (02) 6189 1322 or contact us now.